Our fold away cockpit tables give you a practical and esthetic answer to the cockpit table issue. 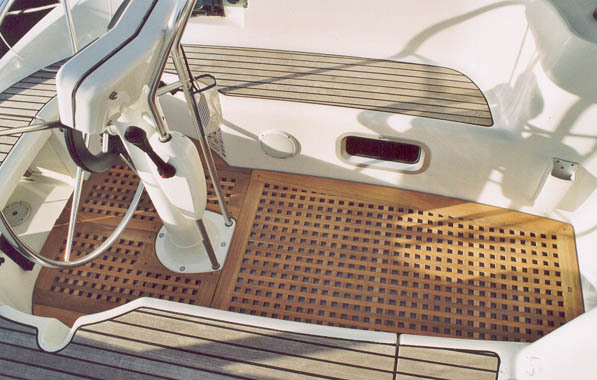 It requires no installation (no drilling, no gluing) and can be removed quickly for regatta. 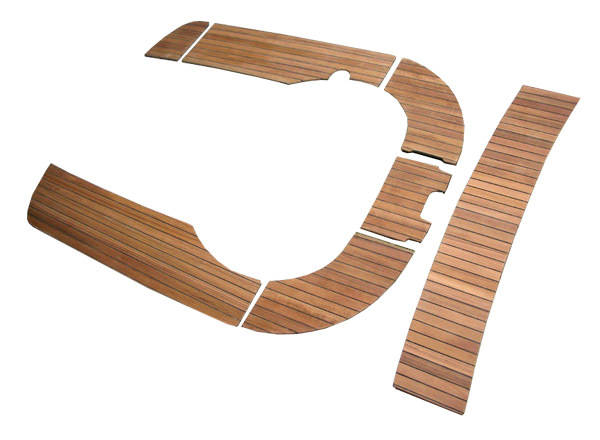 All cockpit items are designed to be ready to install ( winch handle pocket, back curve, wheel system, sheet tracks...) Built exclusively from burman teak and stainless steel 316, it does'nt require maintenance.When sailing, your cockpit is an open space covered with teak, free of furnitures, and while mooring or in the harbour you can move around without any problem. 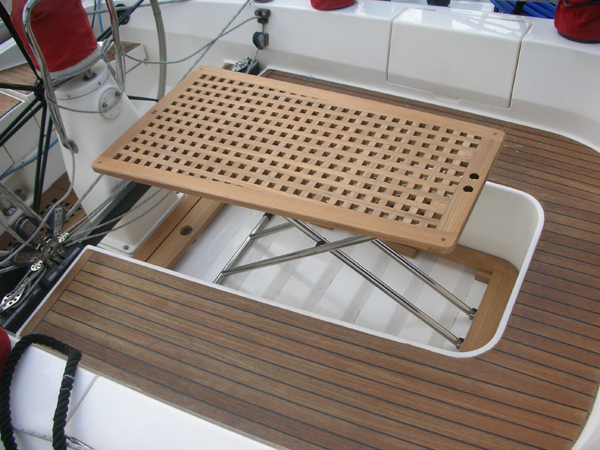 For boats with fixed table, CASA MARE can supply you with unjoined teak slatted cockpit ground, to give to your boat a teak deck aspect. 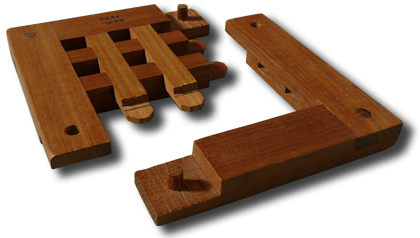 Traditionnal teak gratings, 23mm thick, 20x20mm stitch, built on a structure with mortise and tenons (standard building: cleats 23mm / half slat 11.5mm) or (traditionnal building: entirely half slatted reversible). 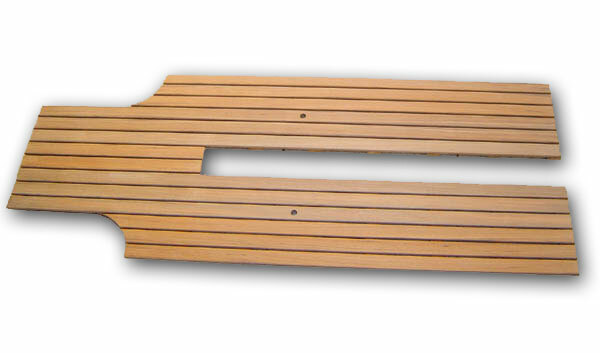 Unjoined teak slats, 12mm thick, assembled and glued on 12mm thick cross-pieces, with 5mm space between slats (same aspect as the seats on the photography) positionned according to the bottom ground. Flow and drain integrated. 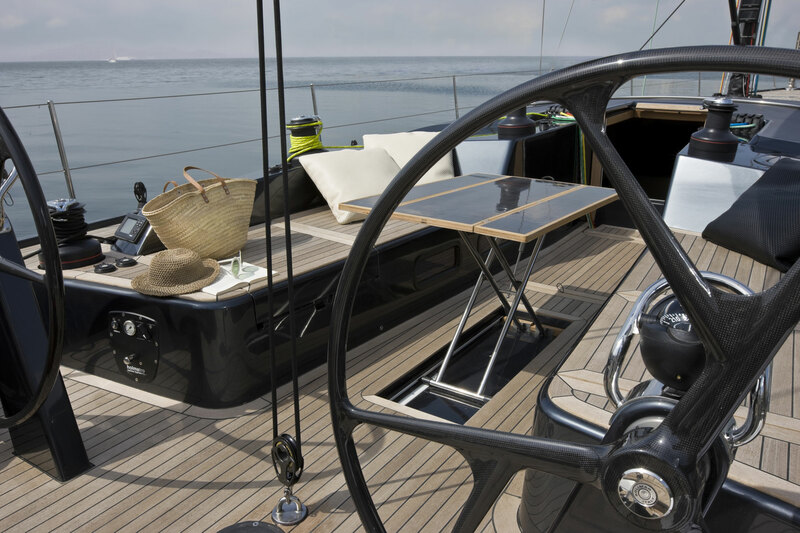 Optionnal cutting for steering wheel, base table or the clew. 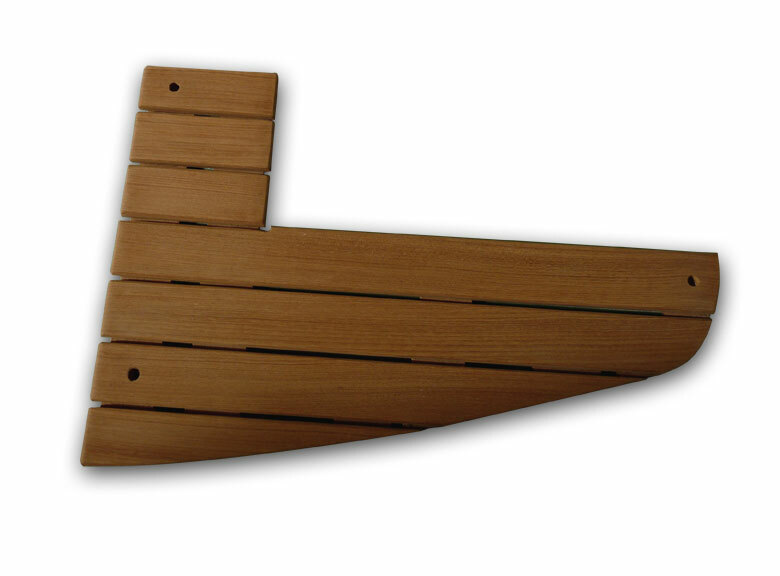 Joined teak slats with polyurethane, 9mm thick --> Go to slatted teak panels. 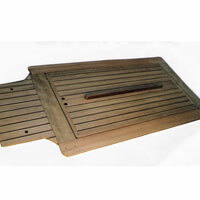 With unjoined teak slats, slats width around 48mm, 12mm thick, assembled and glued on 10mm thick cross-pieces, with 4mm space between slats in order for the cockpit to dry immediatly while showing a teak deck aspect. With joined teak slats with polyurethane, ready to be glued.